Reaction to the press conference was swift and almost universally negative. The response from lawmakers to President Donald Trump’s news conference with Russian President Vladimir Putin was swift and almost universally negative, with especially critical statements coming from members of Trump’s own party. Sen. Bob Corker, the Tennessee Republican who chairs the Senate Foreign Relations Committee, said: "Putin only understands strength and I did not think this was a good moment for our country." "I felt like, that everyone who’s dealt with Putin understands fully that the best way to deal with him is through strength and I just felt like the president’s comments made us look as a nation more like a pushover. And I’m disappointed in that," Corker told reporters on Capitol Hill. "When he had the opportunity to defend our intelligence agencies, who work for him, I was very disappointed and saddened with the equivalency that he gave between them and what Putin was saying," he added. (Susan Walsh/AP) Sen. Bob Corker speaks on Capitol Hill in Washington, Feb. 13, 2018. "They definitely interfered in our election," Corker continued. "That’s not debatable. And again, I just don’t know what it is about the president that he continues to deny that it occurred. I get the feeling, firsthand actually, that sometimes the president cares more about how a leader treats him personally." 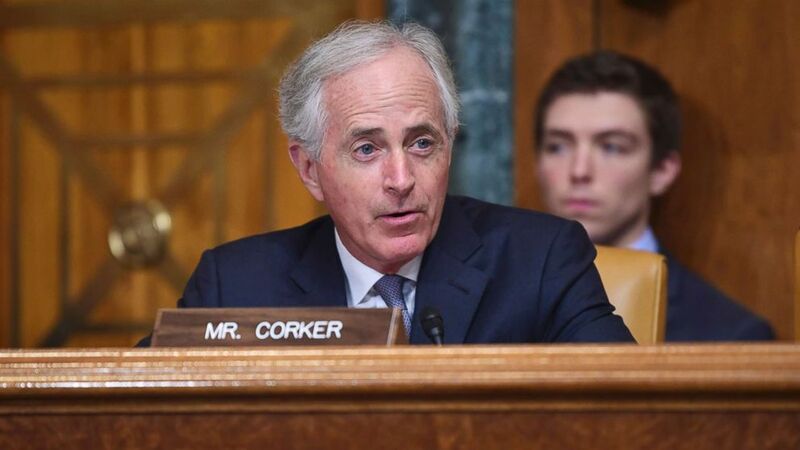 Asked how much he thought Putin gained from the encounter, Corker responded: "I think he gained a tremendous amount. Here he has been ostracized on the world stage." 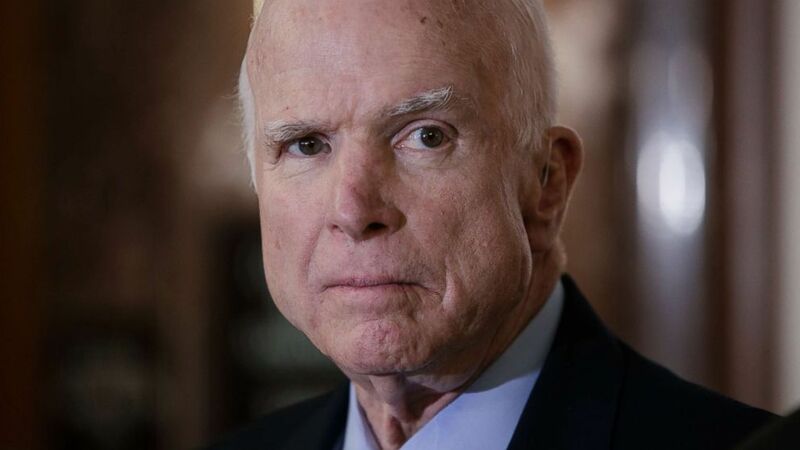 “Today’s press conference in Helsinki was one of the most disgraceful performances by an American president in memory, " Sen. John McCain said in a statement. “No prior president has ever abased himself more abjectly before a tyrant," McCain said from Arizona, where he's battling brain cancer. (J. Scott Applewhite/AP) In this Oct. 25, 2017, file photo, John McCain, pauses before speaking to reporters during a meeting of the National Defense Authorization Act conferees, on Capitol Hill in Washington. “I’ve said a number of times and I’ll say it again. The Russians are not our friends and I entirely believe the assessment of our intelligence community," Senate Majority Leader Mitch McConnell said in a statement, according to his office. Former House Speaker Newt Gingrich, normally a staunch Trump supporter, tweeted: "President Trump must clarify his statements in Helsinki on our intelligence system and Putin. It is the most serious mistake of his presidency and must be corrected—-immediately." The current speaker, Paul Ryan, issued a statement saying "the president must appreciate that Russia is not our ally." "There is no question that Russia interfered in our election and continues attempts to undermine democracy here and around the world. That is not just the finding of the American intelligence community but also the House Committee on Intelligence," Ryan said. "The president must appreciate that Russia is not our ally. There is no moral equivalence between the United States and Russia, which remains hostile to our most basic values and ideals. The United States must be focused on holding Russia accountable and putting an end to its vile attacks on democracy." Sen. Ben Sasse, R-Neb., was one of the first members of Congress to issue a written response to the press conference, taking particular issue with Trump’s assertion that both countries are responsible for the deteriorating U.S.-Russia relationship. “This is bizarre and flat-out wrong. The United States is not to blame. America wants a good relationship with the Russian people but Vladimir Putin and his thugs are responsible for Soviet-style aggression. When the President plays these moral equivalence games, he gives Putin a propaganda win he desperately needs,” Sasse said. During the 45-minute press conference, Trump said he didn’t “see any reason” why Russia would have interfered in the 2016 U.S. elections, despite the unanimous conclusions of the U.S. intelligence community, asserted that there was “zero collusion” between the two governments and called Putin a “good competitor,” which he described as a compliment. Sen. Lindsey Graham, R-S.C., who has lately been muting his criticism of Trump in order to better position himself to accomplish policy goals, didn’t go as far as Flake or Sasse but did say the president should have used the press conference to denounce Russia’s interference. In a separate tweet, Graham also warned that he would “check the soccer ball for listening devices,” referencing the ball Putin handed Trump during the press conference, and which Trump tossed to his wife, First Lady Melania Trump. Sen. Orrin Hatch, R-Utah, a frequent ally of Trump’s, did not criticize Trump but did restate the facts, which in and of itself was a repudiation of what the president asserted during the press conference. Democrats also responded quickly, describing the press conference and the other events of Trump’s Western Europe junket, which also took him to a NATO conference and London, England, in fatalistic terms. “Starting with the president’s trip to NATO and ending with his shameful performance at today’s press conference, President Trump has strengthened our adversaries while weakening our defenses and those of our allies,” Senate Democratic Leader Chuck Schumer said in a statement. Schumer also mused about why Trump would continue to be so deferential to the Russians, suggesting it might be because Putin has something compromising about Trump that he is hanging over his head. "Millions of Americans will continue to wonder if the only possible explanation for this dangerous behavior is the possibility that President Putin holds damaging information over President Trump," Schumer said. Putin responded to a question about that during the press conference, calling such a notion "rumors" and saying he didn't know Trump when he visited Russia before becoming president, but he did not outright deny it. Other Democrats, including Senate Intelligence Committee vice chairman Mark Warner, whose panel is investigating Russia’s interference in the election, issued their immediate reactions on social media. This is a sad, shameful moment for our great nation. We will reclaim our values and reassert our global leadership. We'll turn the page on this dark chapter. But it won't happen on its own. We all must stand up—to side with U.S. law enforcement and to protect all Americans. Rep. Sheila Jackson Lee, D-Texas, listed several historic locations where previous wartime adversaries surrendered and added the location of the Trump/Putin meeting. ABC’s Jacqueline Yoo contributed to this report.